PlayStation Now is a paid subscription service from Sony that allows its members to download and play free monthly games on their PS4 and PS3 console. PlayStation Now members receive a set of ten new games every month to download or stream directly from their PS4 console. 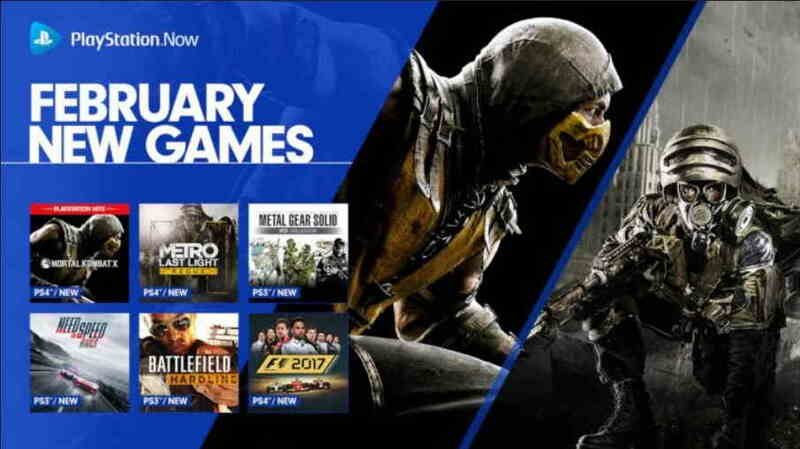 PlayStation Now this month’s free 10 games list includes Mortal Kombat X, Metal Gear Solid HD Collection, Metro Last Light Redux, Battlefield Hardline, Need for Speed Rivals and more. By subscribing to the PlayStation Now you can get the chance to explore new games and free monthly games to play. The PlayStation Now subcliption costs $19.99 + tax per month, but if you want to give it a try, then you can simply opt for the 7-day trial period of the PlayStation Now.